It’s natural to feel anxious before giving a conference presentation, even for the most confident and talented public speakers. So, for a lot of people the idea of getting up on stage and presenting an idea to a crowd of our peers for half an hour is completely nerve wracking. If you’re giving your first presentation, it’s important to remember that every presenter has been in this position before, just focus on your preparation and you’ll give an amazing talk. But everyone needs to have a plan, so follow these eight steps to have a successful first presentation. 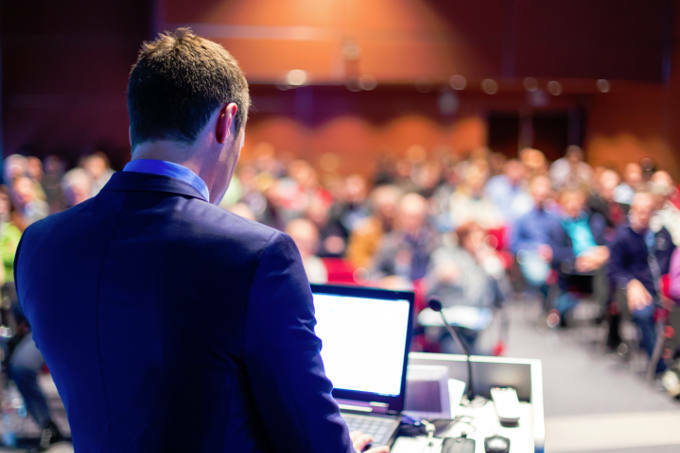 Often you will need to submit a presentation proposal to a conference before you are accepted to speak. It’s sometimes the case that first time speakers will be too focused on getting their place at the conference, so they will submit a proposal that sounds extremely impressive. The problem lies in the fact that once you’ve been accepted, you’ll actually have to present on this topic. Remember that this is your first presentation and that you shouldn’t be too ambitious with the concept. Choose something that you feel very comfortable and confident talking about. Ideas don’t have to be complex to be good, so work within your specialism. There is a natural inclination when you are planning a presentation to reach immediately for PowerPoint to start designing your slides. But this is actually completely the wrong order to do things in. Before you even open PowerPoint you need to have written a draft of what you want to say. Once you know the basic outline of your presentation you can start planning the slides around each point you want to make. Using PowerPoint from the start will simply complicate the process as you will end up having to chop and change things around, or even weaken the overall talk because you like a particular slide. You need to choose images and graphics that suit your presentation – not the other way around. Has someone in your team designed a brilliant graphic? That’s fantastic, but don’t try to force it in where it doesn’t belong. It’s a much better idea to first have a good idea of the structure and flow of your presentation before you add images. For example, you could add a humorous and eye-catching image to break up the flow of a fairly word-heavy segment. Use simple psychology to improve your presentation. People are more likely to engage with stories and examples than they are with straight facts and figures. Ensure that your presentation tells a story and takes examples from the real world. We need to talk about a very important word: engagement. The best way to give a high quality conference presentation is to ensure that you are engaging your audience and keeping them interested. Human attention spans can be frustratingly short, so even when you’re talking on a fascinating topic, an audience will only be able to maintain interest for so long. That’s why it’s so important to add interactive elements to your presentation. When an audience is encouraged to actually become a part of the presentation they can invest in the ultimate outcome. But what is the best way to do this? Let’s look to Step Six for the best ways to get interactive. Technology is your friend. And it can be used before and during your presentation to make a difference to your performance. Firstly, before you even get started you should talk about your presentation on social media and interact with people who are going to be attending your talk. Give them a preview and provide them with details of what they are going to learn from you. 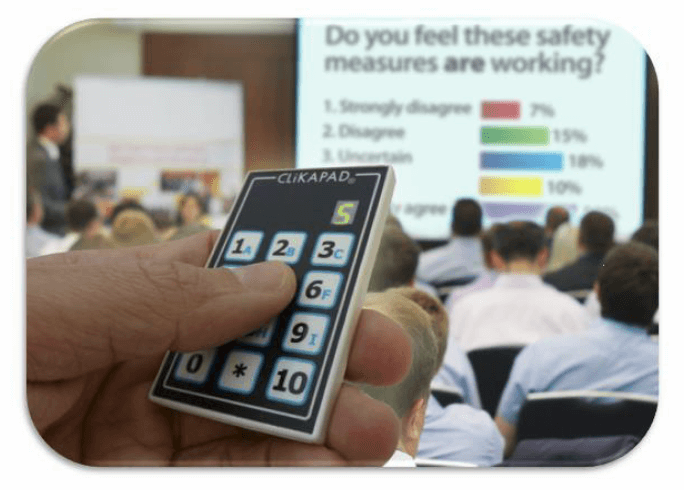 During the presentation, it’s smart to use technology like an audience response system (ARS). Integrating an ARS allows you to poll your audience and get their feedback. They can be especially effective if you ask a question, and allow the results to have a direct bearing on the talk. Nothing engages an audience more than being made an important part of the presentation. You need to practice, and it’s as simple as that. The last thing you want to be doing is reading directly from a script – your performance and delivery will be flat and uninteresting. So ensure that you know each section by heart by the time the presentation rolls around. It is fine to have a document in front of you with reminders and the overall structure, but you shouldn’t ever need to read from a page. Speaking in front of a big crowd can be daunting, and if you’ve never had to do it before, make sure you build up your confidence beforehand. You might think that you’ll be fine to simply step out and do your thing, but once you get up on stage in front of a quiet room that could contain hundreds of people, that confidence can sap away. Start small by giving your presentation to yourself in the mirror, then perform it in front of family or friends. Finally, you can ask a group of colleagues to listen to you. Not only can they provide feedback and constructive criticism but it will also get you used to talking in front of a group.